Metabolism is the process in which the body makes energy in the living cells. It involves many chemical reactions that are necessary to keep the body healthy. It includes the chemical processes to breath, move, and think. The basal metabolic rate is the amount calories needed to perform basic bodily functions like blood circulation and breathing. This rate is steady but more physical activities can increase the amount of calories burn thereby, increasing the metabolism. While exercising is the most common way to increase metabolism, there are plenty of food that can also help. Believe it or not coffee is a better metabolism boost than energy drinks. Energy drinks are packed with sugar but coffee contains caffeine. The caffeine in coffee gives the metabolism a short-term boost. Caffeine’s energy-boosting effect on metabolism allows the body to burn more calorie quickly. However, coffee alone does not make a large enough difference. It is best used as a companion to exercising. It gives the body the energy necessary to exercise harder and longer. All spicy peppers – Cayenne, Jalapenos, hot pepper- contain capsaicin. Capsaicin is a chemical that can help boost metabolism by stimulating the pain receptors. It attaches to the pain receptors, signaling a burning sensation. This causes a mild inflammatory reaction to happen in order repair the cells. Studies have found that chili peppers can also decrease cravings. They temporarily increase blood circulation and calories burning. To have the full effect, chili peppers should be eaten daily. Similarly to coffee, green tea has caffeine that energizes the body and increase metabolism. Unlike coffee, they also contain catechins. Catechin is a bioactive compound that helps burn fat. It’s also an antioxidant and a disease-fighting flavonoid. Whole grains have plenty of protein and carbohydrate to boost metabolism. They stabilize insulin levels. Insulin is a hormone that regulates sugar in the bloodstream. If it’s too high, it can cause the body to store extra fat. This increases weight and decrease metabolism. Whole grains have low level of sugar. They also contain many nutrients that keep the insulin levels stabilized enough so the body can burn extra fat. 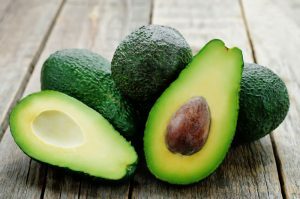 Avocados contain heart-healthy omega-3 fatty acids. Omega-3 fatty acids promote faster metabolism by reducing the leptin hormone. Leptin is a natural chemical that was found to slow down metabolism. It helps regulating how much calorie the body takes and uses. It’s supposed to prevent starvation and overeating however, it falls short when telling the body to stop eating. Eating food rich in omega-3 fatty acids help to reduce the hormone thus, reducing the risk of overeating. Eggs are rich in protein. They increase metabolism for a few hours by requiring the body to use more energy to process them. 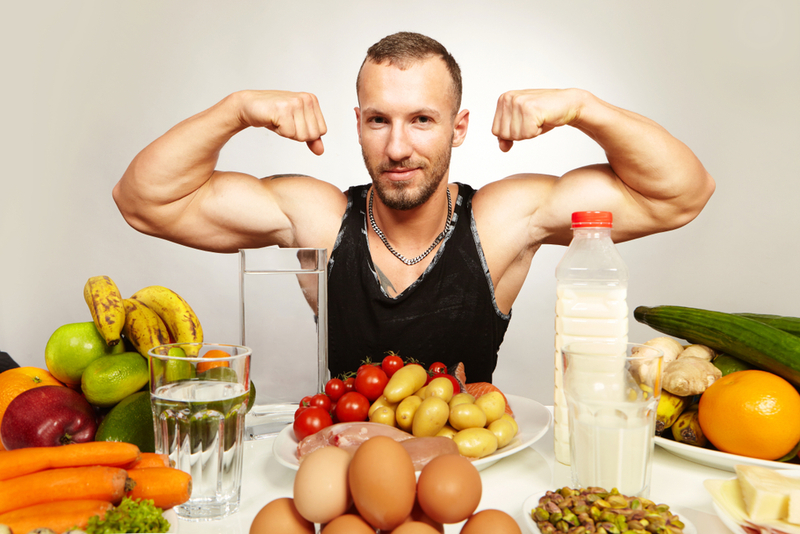 Protein-rich foods are heavy so, the bodies use a lot of energy to break them down and absorb them. Also, they prevent overeating by keeping the body fuller for a longer period of time than the other food groups. Spinach and every other leafy greens are an excellent source of fiber. High fiber can help the body to burn fat by 30%. Spinach also contains iron. Iron is one of the nutrients required for the thyroid gland to function properly. The thyroid gland regulates metabolism. Iron is also necessary in the synthesis of DNA. Fish is both rich in protein and omega-3 fatty acids. Both of these nutrients are important in boosting the body’s metabolism. Fatty fishes especially salmon can lower stress hormones and increase the body’s ability to burn fat. Omega-3 fatty acids can also lower inflammation and blood sugar which increases metabolism. Almonds and walnuts are high in fatty acids that help in raising metabolism. However, they are also high in calories so they should be eaten in moderate amount. Only a handful is needed per day and it would be enough to supply the necessary fatty acids and fibers to burn calories. Water is one of the most important nutrients necessary to raise metabolism. It is a natural appetite suppressant so, there’re fewer urges to overeat. Fluid intake speeds up metabolism while the slightest dehydration can slow it down. Eight glasses of water is the popular advice but it is not always the truth. The amount of water necessary depends on the person. Each person should drink about ½ of their body weight in ounces of water. Apple Cider Vinegar works differently than most other food in helping to boost metabolism. It helps increase the stomach’s ability to produce Hydrochloric acid (HCl). Hydrochloric acid converts pepsinogen into pepsin that breaks down protein in our food. Therefore, it helps to digest food more easily and absorb nutrients better. 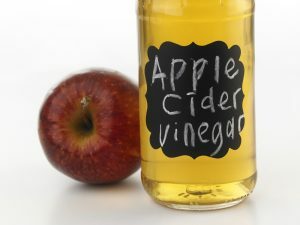 Apple Cider Vinegar also helps curb cravings by regulating blood sugar levels. However, it comes with many negative side effects so consumption should be limited. About 2 tablespoons a day should be plenty to have the benefits while limiting the risks. Legumes include beans, lentils, peas, and peanuts. They are very high in protein so, like eggs, they require the body to burn more calories to burn them down. They also contain fiber and resistant starch that nourish the stomach’s good bacteria. These good bacteria help in using stored fat as energy and maintaining sugar at a normal level in the blood. They also contain a substantial amount of amino acids like glutamine and arginine. These amino acids help in burning calories and fat during digestion. The rate of metabolism affects more than weight gain and weight loss. It can affect basic health including breathing and heart contractions. 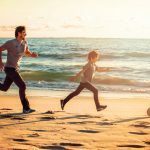 While exercising is the quickest go-to road to an increased metabolism, there are plenty of changes that can be made in a person’s dietary habits that can affect similar effects.